Favourite things: Movies, music, reading, painting kindness rocks for others, and making tzitzits (tassels) for people who want to follow God. Ginger idols: Rupert Grint, Bonny Wright, Ron Howard, Red Skelton, Red Buttons, Louis CK, Bill Mumy, Conan O’Brien, Sissy Spacek, Reba McEntire, Wynonna Judd, Naomi Judd, Julianne Moore, and Susan Sarandan – all those good-looking reds who put themselves out there for all of us to see! 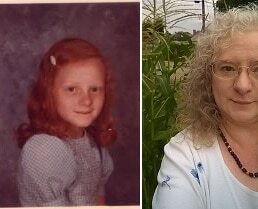 The best thing about being ginger: Having the prettiest hair colour of anyone at every age of my life! 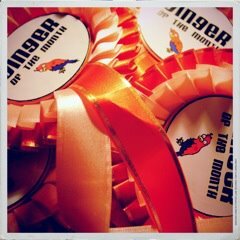 Email hello@gingerparrot.co.uk with a photo and your answers to the above questions, and you could be the next official Ginger of the Month!